In today's dynamic business environment, IT departments are under permanent pressure to meet two divergent requirements: to reduce costs and to support business agility with higher flexibility and responsiveness of the IT infrastructure. Grid and Cloud Computing enable a new approach towards IT. They enable increased scalability and more efficient use of IT based on virtualization of heterogeneous and distributed IT resources. 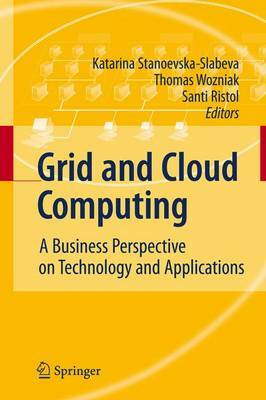 This book provides a thorough understanding of the fundamentals of Grids and Clouds and of how companies can benefit from them. A wide array of topics is covered, e.g. business models and legal aspects. The applicability of Grids and Clouds in companies is illustrated with four cases of real business experiments. The experiments illustrate the technical solutions and the organizational and IT governance challenges that arise with the introduction of Grids and Clouds. Practical guidelines on how to successfully introduce Grids and Clouds in companies are provided.